I am not normally a fan of the festive season but Christmas Day in the small town of Villa de Leyva in the highlands of Colombia was a memorable one. We were staying in a nice hostel and hooked up with two great lads from the States (Brandon and Nick) and we all decided that a Christmas Asado (BBQ) was a good way to spend the day. Villa de Leyva has a fantastic plaza so we headed out in the late morning and had a couple of beers there, taking in the scene around us and stroking the local dog before heading to the restaurant. For US$10 each we got enough food to last a week. More beers on the steps of the plaza and a quick stop at a local bar full of friendly Colombians on the way back to the hostel rounded off another great day in what has to be one of my favourite countries of all time. Travelling from A to B in Indonesia can be a real headache so I never thought I’d say that one of the most amazing journeys we have ever done is in that very country. But the journey through Flores by road then by boat from Labuan Bajo on Flores to the island of Lombok is definitely up there with the best of the best. The scenery on Flores itself is stunning and very green. Rice paddies, rolling hills, banana plantations. All very green. We had the perfect Robinson Crusoe experience on Seraya Island where we stayed in bungalows right on the beach. And then we took a boat, for 3 days from Flores to Lombok via Komodo National Park. Our encounter with the Komodo dragons was, of course, a highlight of the journey but the scenery on the trip itself was breathtaking – the clearest water I’ve seen anywhere, fantastic snorkelling and beautiful seascapes. You can read more about our time in Flores here and the full entry on the cruise through Komodo National Park here. Both entries include a lot of photographs too. Anyone that knows me, is well aware that, for the last fifteen years or so I have had an obsession with this ‘Holy of Holies’. I have no idea why this mountain in particular: I’m far, very far from being a practicing Buddhist, Hindu or Jain but top of my bucket-list it was and eventually, a couple of years ago, we got there. We had lousy weather most days prior to reaching base camp but the day we started the trek, it cleared up and by the time we arrived at our first night’s stop we had the most glorious views of the mountain. I can only assume that someone up there likes me! 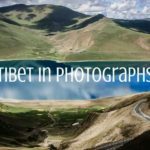 Original post: Travels Through Tibet. Not long after I gave up my permanent job, we took a trip from China into Mongolia on the Trans-Mongolian. The train journey itself was great even if one of Mark’s most re-lived memories is of the train guards locking the toilets for extended periods of time whilst passing through stations! What I recall most clearly about Mongolia is … nothing. Enormous expanses of nothing that stretch on and on, farther than the eye can see. We stayed with nomadic families and it fascinated me that our driver could turn off one dirt road and on to another seemingly heading off in a direction that could only conclude as “lost forever” only for a small cluster of round canvas tents, known as ‘gers’, to appear on the horizon. 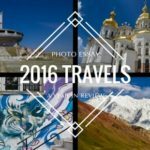 Our original posts on Mongolia: All Aboard … The Trans Mongolian and Adventures in Mongolia and more Mongolia photographs here. When we left the UK five years backs we first headed to Kathmandu in Nepal, where we stayed for seven months. Kirsty was still working for a UK travel company and somehow I had landed a job developing a trekking program for a local tour operator. During our time there, we met and were looked after by so many wonderful Nepalese – our life-long friend Bijay, Gautam; my trekking partner and our landlord Basant to name but a few. But a special mention must go to Santosh, my trekking porter who dutifully carried my (not so heavy) kit bag up and down 750km of trails, bought me bed tea every morning, played a wicked hand of Whist, made me laugh often and had the most wonderful, happy nature of anyone I have ever met. We’ve been lucky enough to spend quite a lot of time in Burma/Myanmar* over the past couple of years; twice taking full advantage of the 28 days tourist visa to travel around as much of the country as possible and more recently whilst living and working in Yangon for four months, experiencing Burma from a different perspective. 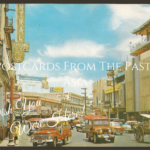 We discovered that living and working in Burma was an altogether different experience from travelling there but both rewarding in different ways. During our travels we made the effort to get to some of the more off the beaten path places and they were often the highlights of our travels – the mysterious temples of Mrauk U, riding the train across the Goitek viaduct and travelling from Mawlamyine to the Golden Rock pagoda. And, out of the “Big Four” (Yangon, Bagan, Inle Lake and Mandalay)? My vote goes to Inle Lake. *we may have spent a lot of time there but I’m still not 100% clear on the Burma v. Myanmar debate! Read more about our visits to Burma here. We have done lots of fantastic road journeys over the past five years but hitching from Kyrgyzstan to China was my favourite. It took us two full days to complete the journey and it was surprisingly easy to find a ride. We were picked up first by a Kyrgyz, then a Tajik and finally a Chinese trucker. All were friendly but we liked the Kyrgyz driver the most as he kindly offered to let us sleep in his cabin in Sary Tash when it looked like we didn’t have a bed for the night. Ever since I was a small boy I had wanted to ride in the cabin of a big truck, now I just want to be a truck driver! Does it show a complete lack of appreciation for all the amazing cultural experiences we’ve had and all the stunning landscapes we’ve seen if I say one of my best memories of the past 5 years is the 4 months we spent in Siem Reap? This wasn’t my first visit to Cambodia, nor my last (we’ve been back several times over the past years) but it was the time I fell head over heels in love with Cambodia. It was just one of those very happy times in life when everything feels right. We made some amazing friends, who I still miss, and got to explore what it one of my all time favourite countries. Of course, the temples of Angkor are one of the ‘must see’ places in the world but there is so much more to Cambodia than Angkor Wat and once away from the handful of towns that the majority of tourists visit, you have the place all to yourself. It is fair to say that both Kirsty and I have an ‘addiction’ to India and we have visited several times in the last five years. 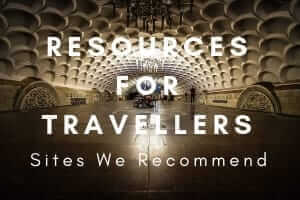 The last one was probably the most enjoyable as we included a stop at Allahabad to witness the incredible Kumbh Mela Festival but I also enjoyed our stay at the Taj Mahal Hotel in Mumbai (and the complimentary happy hour in the bar! ), exploring the Nubra Valley in Ladakh and queuing up for five hours with thousands of excited Hindu pilgrims at Tirumala Venkateswara Temple in Tirupati, south India. Could I live there? Not on your life, it would drive me insane but will we keep going back as much as we can, you bet, there is nowhere else quite like it. 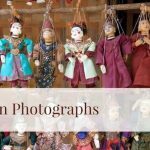 Of course we have LOTS of photographs of India and a post which rounds up our Journey through India with links to each entry is here. Scenic journeys seem to feature heavily on my list of memories and this is another one that is right up there. Again, maybe I’m cheating a bit by trying to fit too many highlights into one entry but hey, that’s my prerogative! 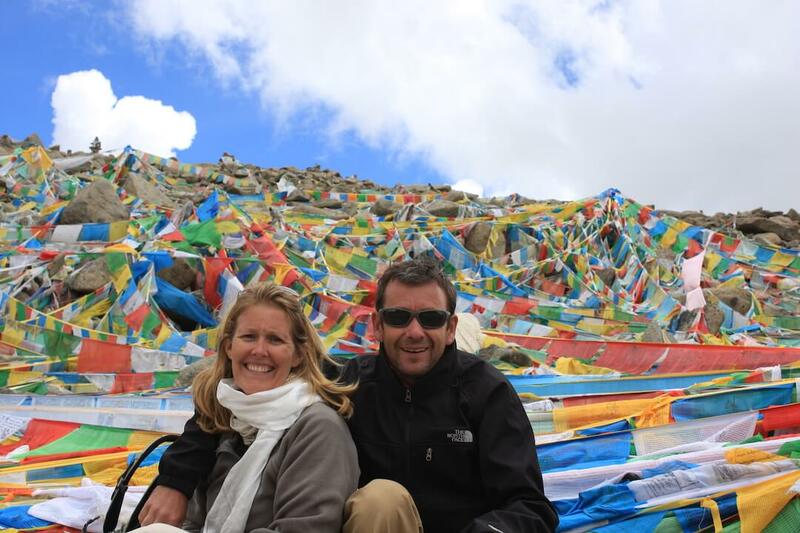 After some fantastic trips around Ladakh using Leh as a base, Mark’s Dad arrived from the UK so they could do some trekking together. 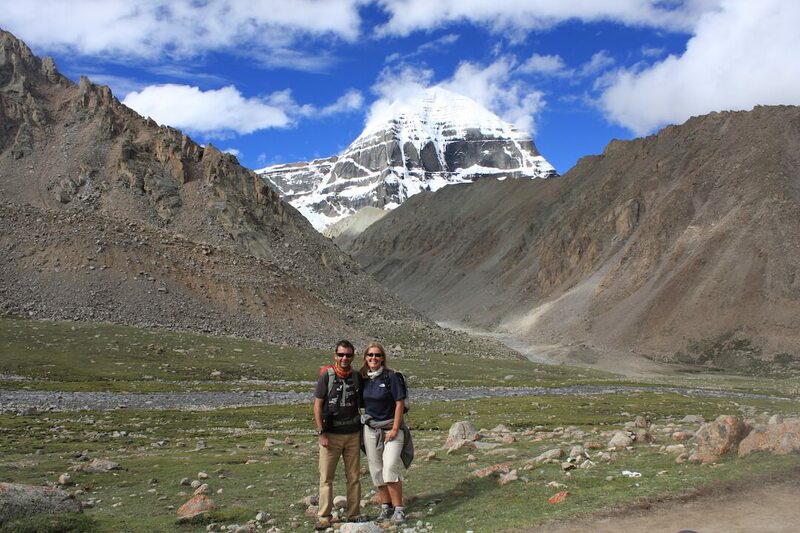 I decided to travel overland with Doug and Phil (who we’d met in Leh) through the Zanskar Valley and on to Kashmir. 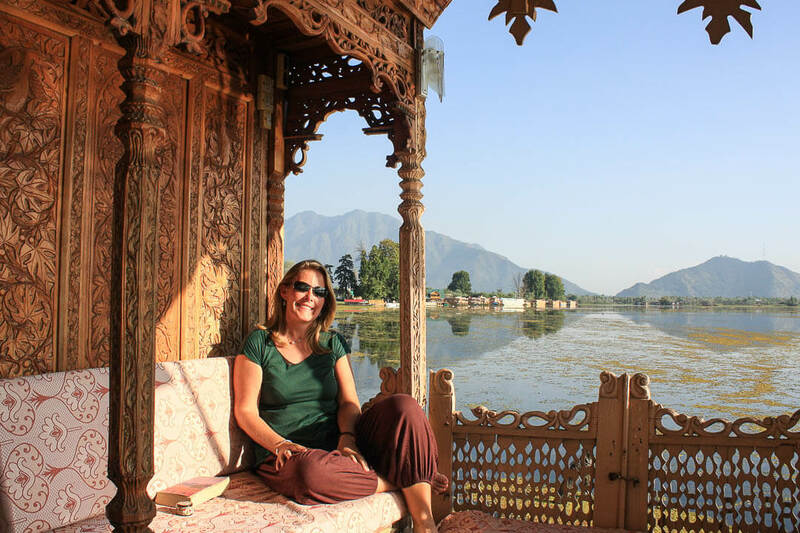 It was a stunning journey made all the more exciting by the fact that until we actually got to Srinagar we weren’t sure whether we’d be able to because of road blocks and curfews due to the ongoing tensions which were at a height at that time. But we made it and were rewarded with a few blissful days relaxing on one of Lake Dal’s fabled houseboats. But it’s not just the sights and sounds or the landscapes and the seascapes that have made the past 5 years the most incredible journey – a big part of it is down to the people we have met along the way. One of the hardest things about a nomadic lifestyle is constantly having to say goodbye to new friends but I always convince myself that we will meet again somewhere, sometime … And often we do. So there you have it – 5 (each) memories from five years of travel. It’s been an amazing five years. Cheers to the next chapter! I think that might be at number 6 for him! Although I read them first time round I really enjoyed reminiscing with you. Thanks! We had quite a trip down memory lane writing about them again! 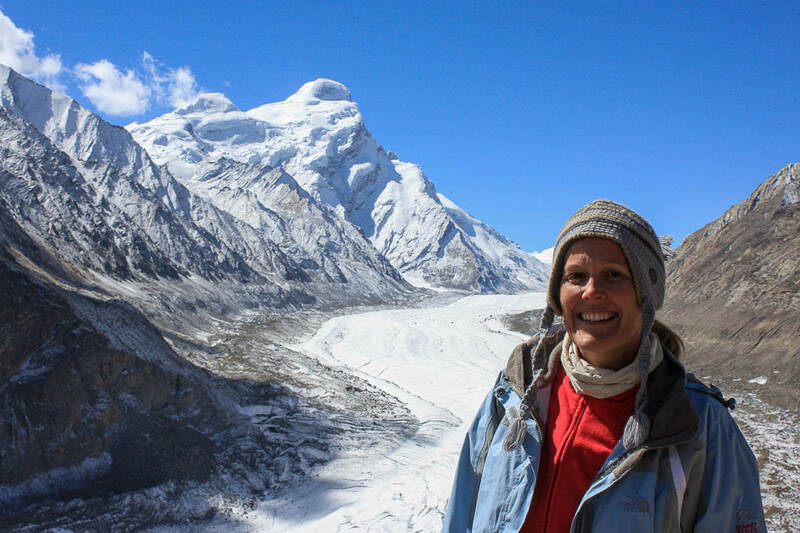 I enjoyed reading your post about Nepal as I also lived and worked there a while. Brought back good memories!